17 of Scotland’s sporting, charity, arts, community and youth organisations will deliver projects under the themes of Journey to Employment, Creativity, Diversionary Youth Work and Sport for Change. The CashBack for Communities programme funds partner organisations to deliver activities and opportunities for young people across all 32 local authority areas in Scotland. 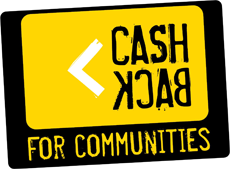 £17m of money projected to be recovered from criminals has been committed to the latest phase of CashBack which will run from April 2017 to end March 2020. These projects focus on tackling inequalities in areas of deprivation, working with some of the most disadvantaged young people aged 10 to 24. “It seems only right that even more young people across Scotland should benefit from these kinds of opportunities which is why I am extremely pleased to be able to commit such a substantial amount of funding for the unique CashBack for Communities programme. This money will go a long way to changing the lives of our young people and it seems only fitting that the money seized from the criminals who seek to peddle misery in some of our most disadvantaged communities is reinvested back in to those same areas. Inspiring Scotland is the CashBack for Communities Delivery Partner. In this role Inspiring Scotland applies their performance management approach to partners funded through the programme and supports the programme to achieve its long term strategic outcomes. Inspiring Scotland is an innovative venture philanthropy organisation designed in response to the needs of Scotland’s charities. Working in partnership with a range of supporters, it is an exciting way of using money and skills to improve the lives of Scotland´s most disadvantaged people.